Oil may minimize risk of cross-contamination, which can lead to foodborne disease. 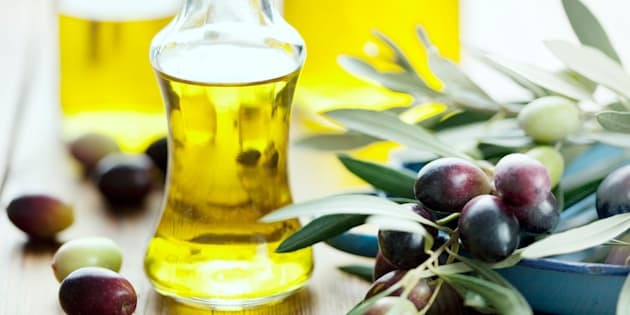 Olive oil might just save you from salmonella-induced belly aches. Cooking oil may help prevent the spread of foodborne bacteria such as salmonella, listeria and E. coli, say Canadian researchers. In a study published in the journal ACS Applied Materials & Interfaces, many foods produced on an industrial scale include raw ingredients that are mixed together in large stainless steel machines that can be difficult to clean. The engineering researchers say the surfaces of the machines get minute scratches and grooves that are ideal hiding places for bacteria. Inside a pasteurization industry producing a diversity of food products. Prof. Ben Hatton, Dr. Dalal Asker and Dr. Tarek Awad at the University of Toronto say their research indicates a thin layer of cooking oil fills in the microscopic scrapes, forming an effective barrier to bacterial attachment. They say this minimizes the risk of cross-contamination, which can lead to foodborne disease. Health Canada has said salmonella is the leading cause of bacterial foodborne illness in the country, with more than 200,000 cases in 2015 alone. Hatton says they found their system reduced bacterial levels inside the machines they tested between 1,000 and 100,000 times. 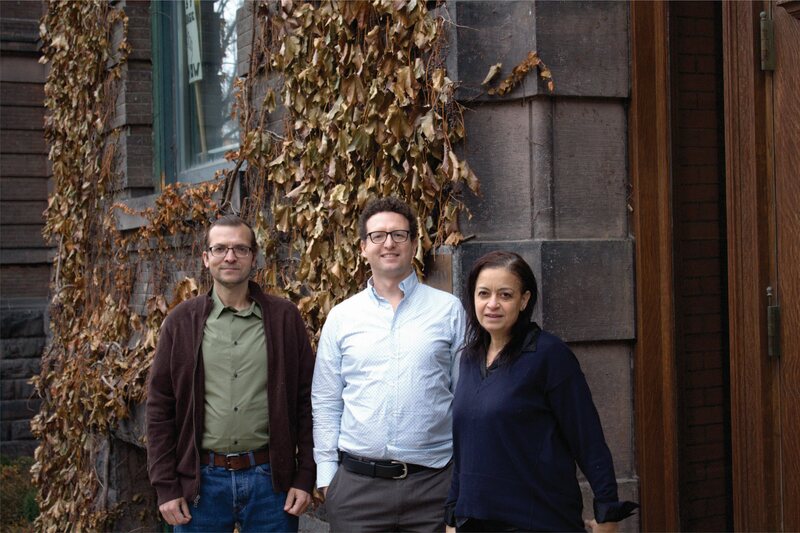 L-R: University of Toronto researchers Dr. Tarek Awad, Prof. Ben Hatton, Dr. Dalal Asker, are behind a study that says cooking oil may help prevent the spread of foodborne bacteria such as salmonella, listeria and E. coli. The researchers collaborated on the project with Agri-Neo, an Ontario seed processing company looking for a solution to bacterial contamination. The process involves treating the stainless steel to make it hydrophobic — so it repels water — which allows the oil to stick to the surface, Hatton said. However, he noted that the oil on the surface will be worn away as the machine operates. "The focus of the paper was to see if we take this safe, really cheap, everyday oil and kind of trap it at the surface ... and then look at what happens when you wear it away, is it still effective?" Hatton said. Different kinds of vegetable oil. The results of study show that it's still effective because it fills in the grooves and scratches, which are the main problem sites in the machines, he said. Hatton said they have only tested the process in the lab and don't know if it can be applied for industrial use, but "we're definitely interested in trying to a scaled up test of this for real equipment." "The researchers tried to keep the process as simple, cheap and scalable as possible," he says, noting there's "the economic cost of an outbreak that shuts down a whole line and recalls and liability." He said they had not yet followed up with Agri-Neo and were also considering reaching out to other food companies to see if they were interested in testing their process.